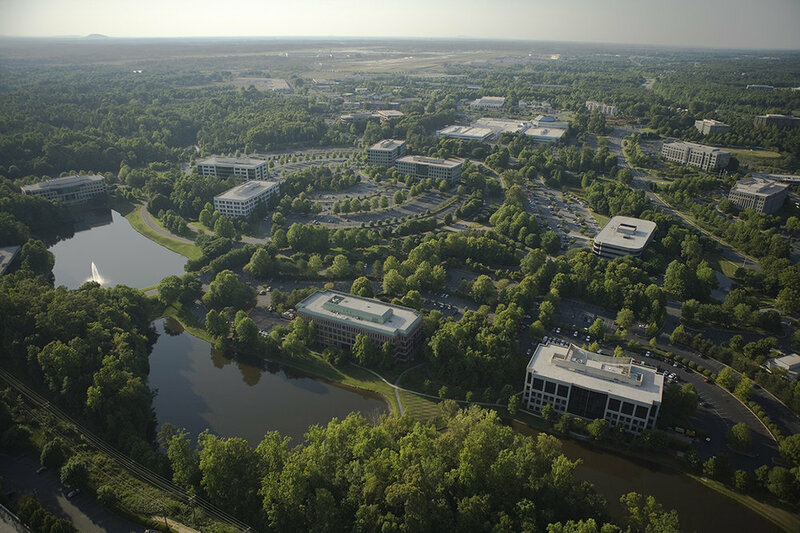 The 180-acre Lakepointe office park in Charlotte, North Carolina, highlights the strongest elements of the classic suburban office park. 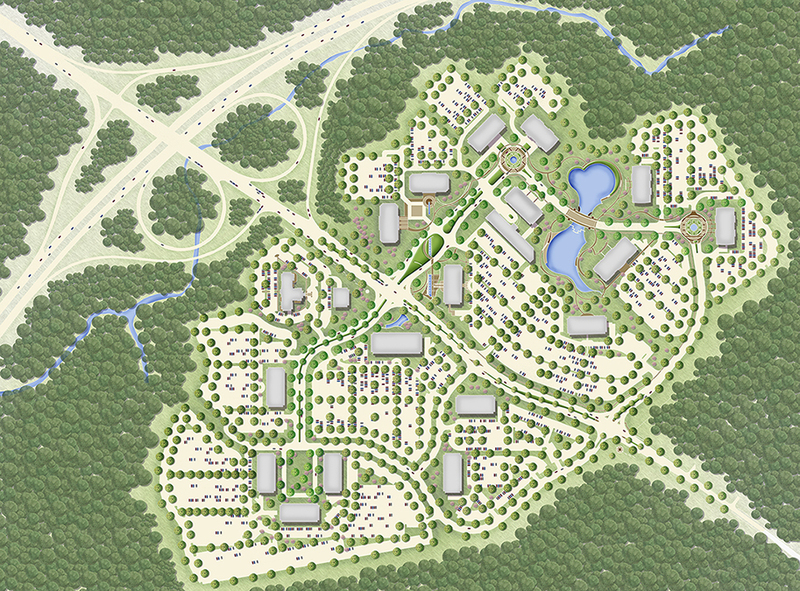 Divided meandering parkways maximize building opportunities and sitings within a unifying expansive landscape. Buildings are organized to allow clustering, create presence and take advantage of site green spaces. 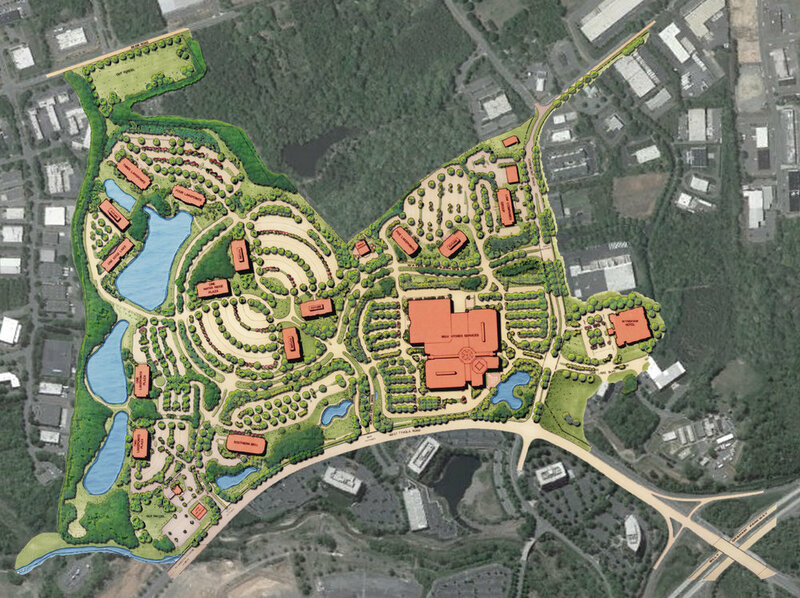 Lakepointe’s plan diagram and execution have allowed for the attraction and accommodation of major corporate facilities including Belk Store’s corporate headquarters.